Several years ago, I decided to start a blog where I could post Kid’s Events here in Middle Georgia – with four boys, we were always looking for fun things to do. Well, as I started researching and looking at activities, I discovered that a lot of restaurants in our area offer a Kids Eat Free Night. So, here is a list of the Top 5 Restaurants in our area where kids eat free (or really cheap) – and each one is on a different day of the week. Oh, and I also have to say thank you to my readers – they were a big help in compiling this list. What better way to start your week than with a delicious, authentic Italian meal! Marco Italian Ristorante is a fine dining establishment in North Macon specializing in freshly-prepared, authentically Italian food. They are open Monday through Saturday beginning at 5:00pm and offer a full dinner menu. Their Deal? Every Monday, one child (8 and under) can eat free from their homemade pasta menu with the purchase of an adult entrée. On Tuesday night, the place you want to be is Polly’s Corner Café. They are known for their fresh fish, shrimp, and ribeyes. Their child’s menu also offers some great seafood items – catfish and shrimp – along with burgers and hotdogs. Their deal? At dinner, you can get one free child’s meal for each adult entrée ordered. With several locations in Middle Georgia, Georgia Bob’s offers great barbecue Southern Style. They also offer made-from-scratch chicken salad and desserts. Their deal? On Wednesday evenings at their Byron and Macon locations, children 10 and under can eat free with each adult entrée ordered. 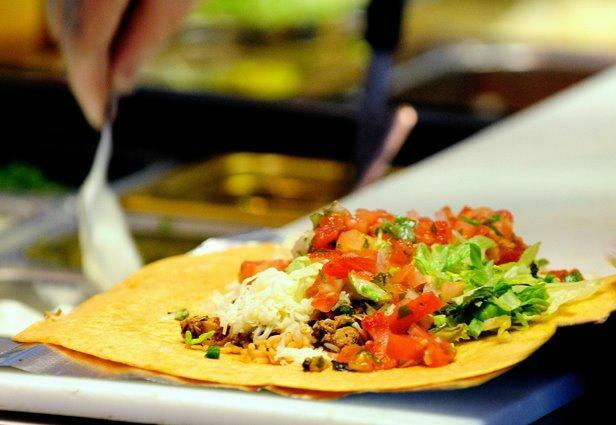 Barberitos hand crafts their burritos, tacos, salads, quesadillas, nachos and more using locally sourced, farm-fresh ingredients which is great when it comes to feeding the youngsters. What else is great about Barberitos? Kids eat for free on Thursday with the purchase of an adult meal. 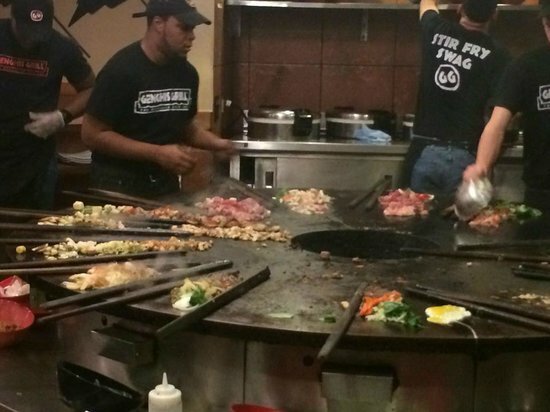 Located on Bass Road, Genghis Grill offers family night every Wednesday from 5pm-9pm. With every purchase of an adult bowl your kids can get a bowl for a penny a pound (Child weighs 60lbs, their bowl will cost you .60) Don't want you child weighed or want something else on the kids menu? No problem other menu items and bowls for kids without being weighed is still only a $1! This offer is good for kids that are age 11 and under.